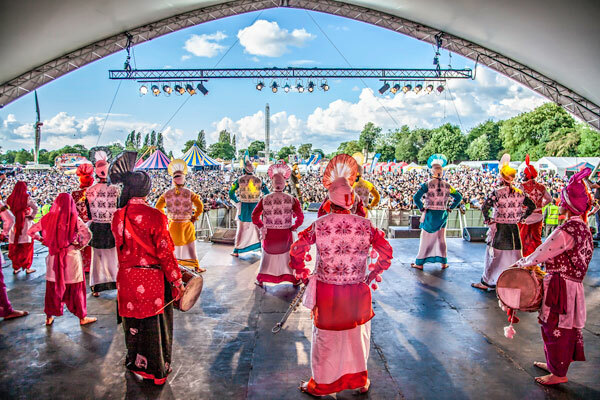 Looking for Bhangra Dancers in the Midlands? 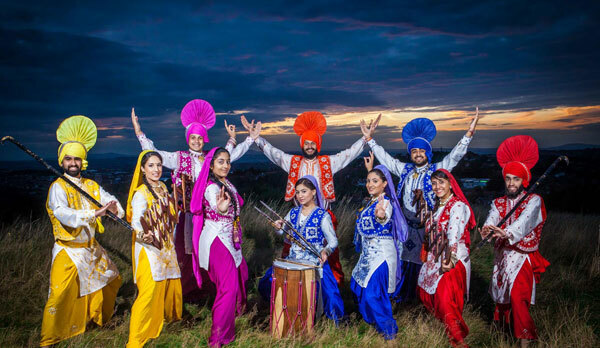 These multi award winning Bhangra Dancers are known for pushing the boundaries of dance both artistically and conceptually and can be hired for all kinds of events. They are a very popular choice for weddings and are often booked to perform a show at the reception. They have wowed huge audiences at festivals and events all around the world including France, Turkey, Jordan, Sweden, Holland, Germany, Belgium, Canada, Bulgaria and UAE to name but a few and won the International Bhangra Dance Competition in Toronto, Canada and were voted the ‘Best Group’ at Brit Asia World Music Awards and UK Bhangra Awards for 2 years running. 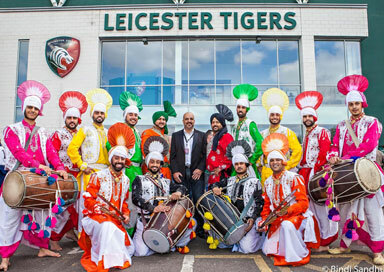 The male live team consists of 10 performers including dancers, Dhol drummers, singers and musicians. 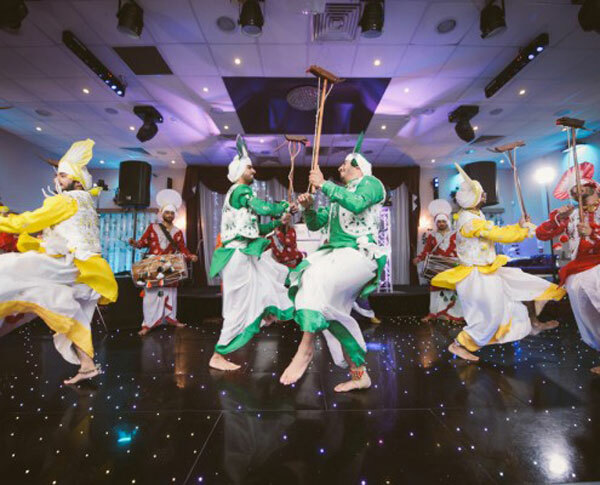 The vigour, vitality, speed and the synchronisation in which the movements are performed make Bhangra a highly enjoyable spectacular dance to watch. No other dance can come anywhere near Bhangra in sheer force and tempo. It is a dance of stamina and they always take special pride in performing. 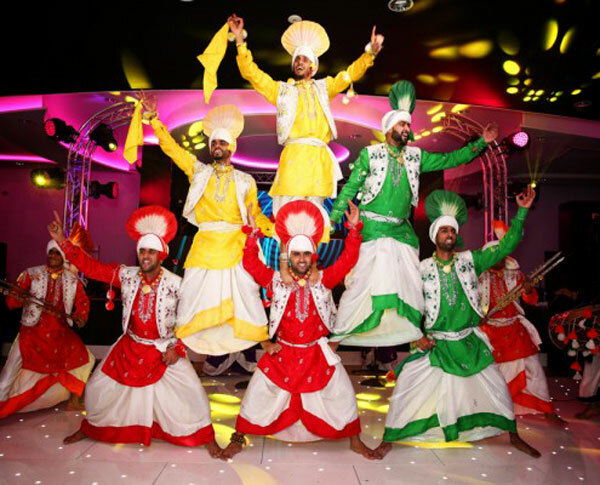 The mixed team consists of 8 - 9 male and female dancers and Dhol drummers performing to the latest music tracks. They are exciting, exuberant, upbeat and professional entertainers. 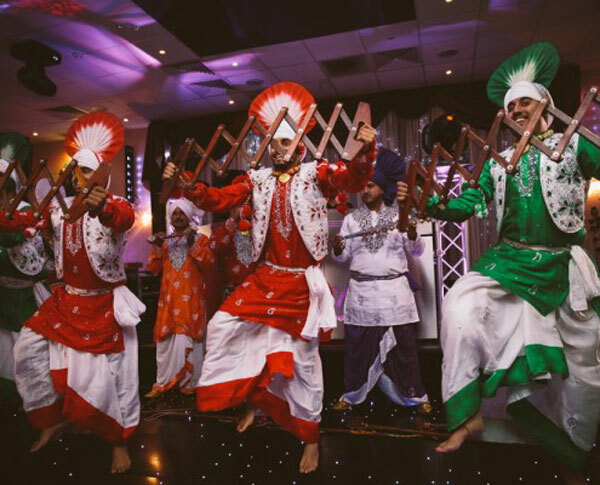 Our mixed Bhangra dancers will set the dance floor alight to the sounds of the latest Bhangra music beats and create an ambience offering people an energetic performance of colour and beauty, filled with spectacular entertainment. These energetic dancers present an experience not to be missed. 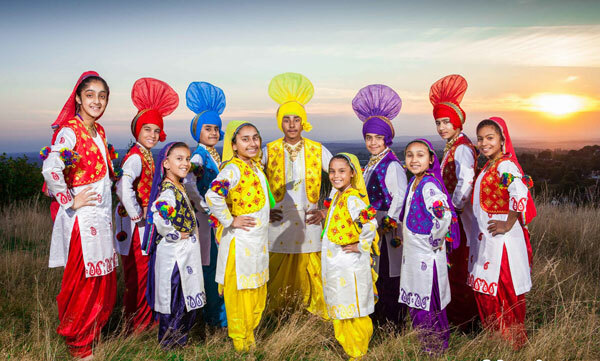 The junior team are the current (2016) world champions for their age group and consists of under 15 year old male and female dancers and Dhol drummers performing to the latest music tracks. Our talented Junior Dancers are a team of dynamic young performers who will make your event stand out and wow your guests without a doubt. Their breath-taking performances will be sure to have you and your guests talking about them for years to come!